Dr. Ogihara and the Data Mining Group at CCS are currently developing methods for estimating abundance of transcriptomes from high-throughput sequencing data using fast solutions to the Least Squares Problem. Also, with Vineet Gupta (Miller School of Medicine at UM) and CCS Research Analyst, Qiong Cheng, Dr. Ogihara is developing methods for inferring dynamics of protein-protein interaction through integration of interaction data (Y2H data, for example) and activation data. 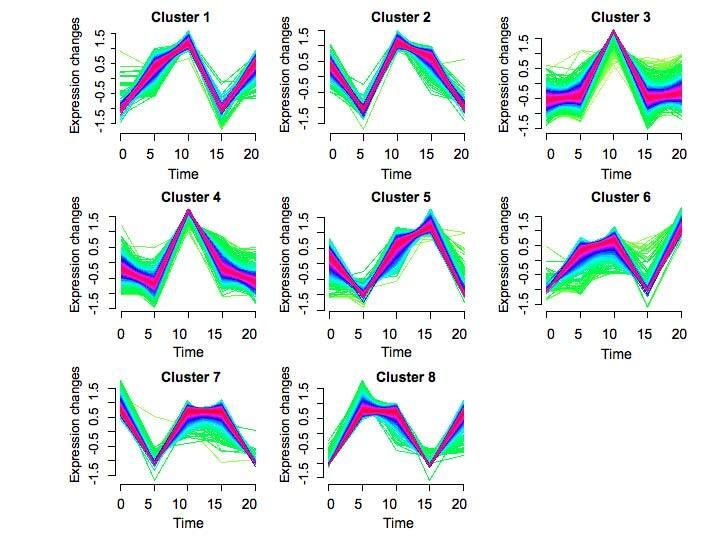 In this study, an input network is examined to identify sets of interactions that are likely to occur at different times, and then using that information, activation patterns are grouped into clusters.